As your lawyer in Statesville, NC, I will do everything I can to mitigate the consequences of the assault and battery charges made against you. Whether you got into a dispute with your neighbor, were involved in a road rage incident, or were involved in a physical altercation as the result of a misunderstanding, I am here to help. I recognize that assault and battery charges are associated with serious consequences and will do everything in my power to protect your best interests throughout the duration of your case. When you turn to me, W. Sloan Goforth, Attorney at Law, I will go over all available defenses with you. Then, I will diligently work to acquire evidence, so I can put together a strong defense plan that has the potential to mitigate the consequences of the charges made against you. Keep in mind that in many assault and battery cases, the difference between a felony and misdemeanor conviction is often impacted by whether the defendant has proper legal representation. If you are facing charges for either assault or battery, please contact my office in Statesville, North Carolina today to set up a time for us to sit down and discuss your case. 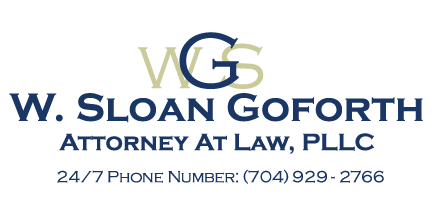 At the office of W. Sloan Goforth, Attorney at Law, we can help with assault and battery cases for residents of Statesville, Troutman, Taylorsville, Mocksville, Mooresville, Hickory, Iredell County, Alexander County, and Davie County, North Carolina.